16-storey Gothic clocktower and national symbol at the Eastern end of the Houses of Parliament. 87-floor glass skyscraper with a jagged peak, with restaurants, offices, hotel and viewing platform. 30 St Mary Axe is a commercial skyscraper in London's primary financial district, the City of London. It was completed in December 2003 and opened in April 2004. Sir Christopher Wren's domed icon of the London skyline, with whispering gallery and city views. 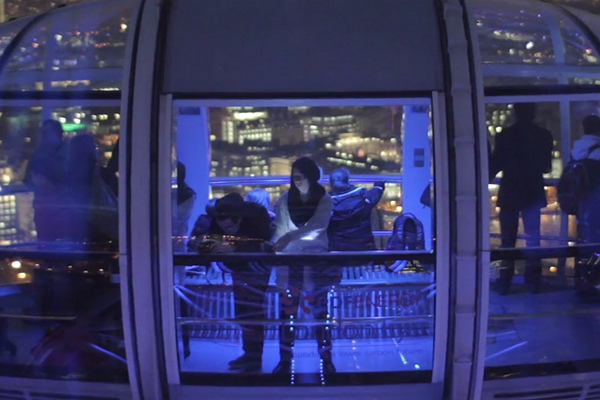 Huge observation wheel giving passengers a privileged bird's-eye view of the city's landmarks. Obsolete riverside Victorian power station soon to house luxury flats, shops and entertainment. Piccadilly Circus is a road junction and public space of London's West End in the City of Westminster. It was built in 1819 to connect Regent Street with Piccadilly. Second-oldest surviving botanical garden in England, founded in 1673 for medicinal plant study. Store for carefully selected new and vintage designer homeware, stationery and clothing items. London is the capital of Europe isn’t it? Or at least that’s what filmmaker Lorenzo Antico believes. The city of London is his muse,with endlessly inspiring traditions, buildings, streets and markets. This stop-motion, day-in-the-life video is made up of 1017 pictures, each of which Lorenzo found through Instagram hashtags. But at the end of the day, it was totally worth it. In a little over a minute, the video exudes the collective feeling of the mass-commute, riding the tube at rush hour trying to make it to another destination, alive. Preparing for your own day in London? What better way to start then by adding Tower Bridge to your profile?